So I had a chance to try this brew on tap at West 50, one of 50 beers on tap. Most of the beers are blah, but they do have Koningshoven Quad. Go there to check that beer out at least. They only serve in in half pints though, go figure. This Holy Smoke Scotch Ale is heavily front loaded with roasted malts to give it a very robust and, well, smokey aroma and flavour. Its black as midnight, probably because there is black patent malt in there, which mostly is used to give a very dark complexion. So it drinks well, lots of nice rusty and dark and burnt flavours, but it does have a certain wateriness to it. Something that keeps bugging me is this wateriness. Its 5%, but perhaps the yeast used is too neutral. I feel like its almost lager-like in its finish. 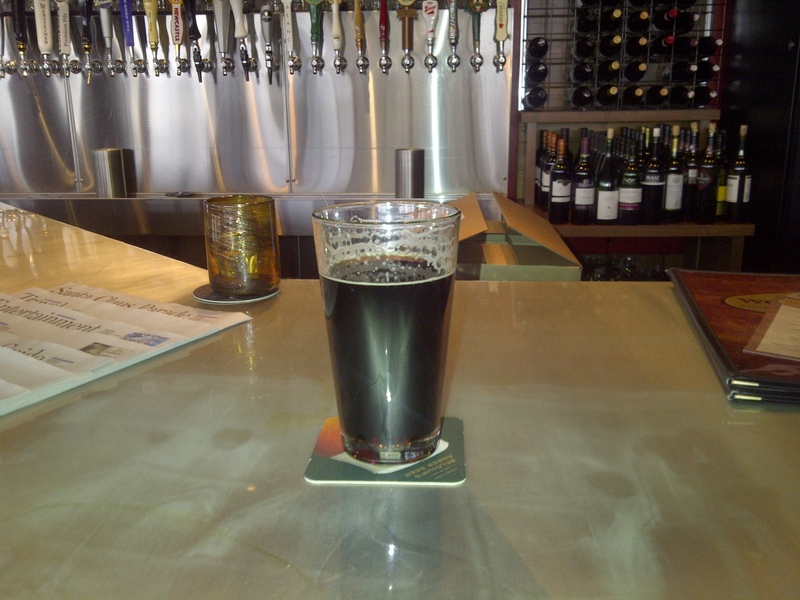 Its definitely worth a try for this Porter type Ale, but don’t make a mission out of it. Though I do like that the Church-Key Brewing company is “Founded in 2000, Church-Key Brewing is located in an 1878 Methodist Church on the outskirts of the town of Campbellford, Ontario.” Any Brewery operating out of a Church gets a thumbs up from me. Since our rating scheme rates amazing beers similar to the so-so beers, I’ll put this one at 3 heads. This is pretty much as simple as it gets. 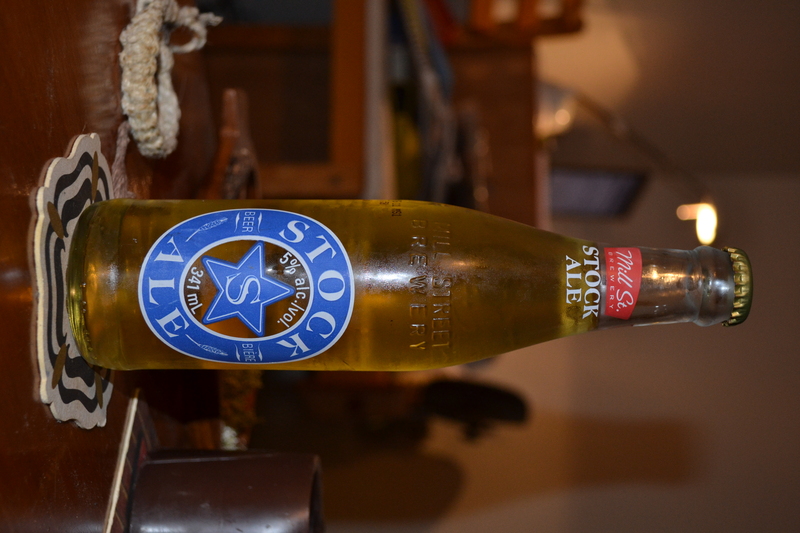 The most popular of the Toronto based Mill St. Brewery’s creations based on overall sales, the Stock Ale is a classic and original recipe that is made ‘without fillers and adjuncts’, says the back of the bottle. This pretty much means that the only ingredients in this beer are the ones absolutely necessary to produce a beer (under modern standards). Of course, these ingredients are water, malted barely, hops and yeast, and you won’t find much else inside of a Stock Ale. This is why Mill St. is so proud of this beer. And it’s good. It represents exactly what beer is supposed to be like. So many distilleries pride themselves on the practice of producing certain robust flavors, and given that this is also very admirable, they skip right over the basics and subtleties of just producing beer. Not beer with coffee in it, or beer with hazelnuts and raisins in it, just the absolute necessities. 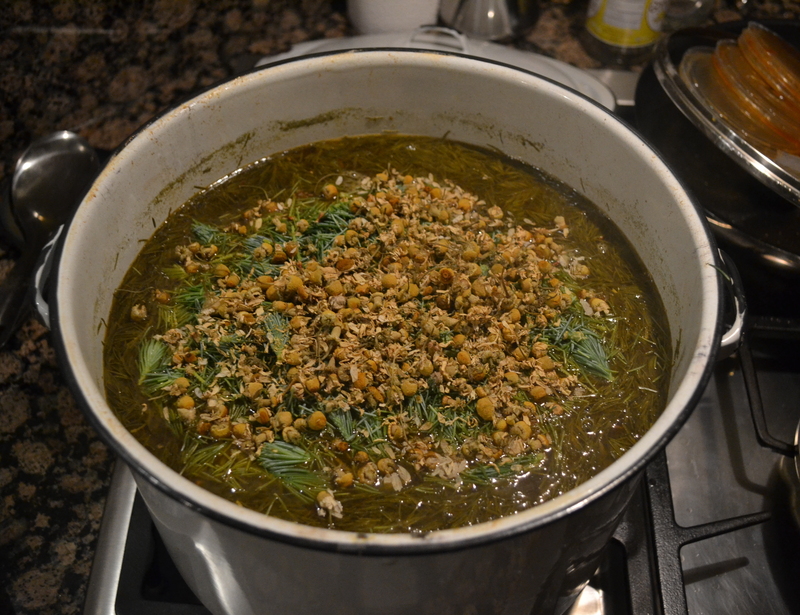 By only having the bare minimum, it takes real skill to invent a recipe that is still great. Anyhow, I don’t have all that much to say about it, but this one is simple and good. I could drink this all night and never really get bored. It tastes like a lighter beer, but it’s not; another good quality of good beers, I find. The bitterness of the hops is light and complimenting to the malt. Neither too sweet or bitter. Every single beer store has it, and the LBCO also occasionally caries it. I got this one in the sampler packs that have begun to show up this month. I look forward to drinking them all: some old favorites and 2 that I have never tried before. Be sure to tune in over the next week or so where I will review them all. Wow. This is an absolute treat. I don’t think I have ever had a beer that has as much bitter complexity. This one really is quite intense, the name imperial is definitely appropriate. There are so many layers of hops that I am not really sure what to do with myself after each sip. I am very surprised by this ale. 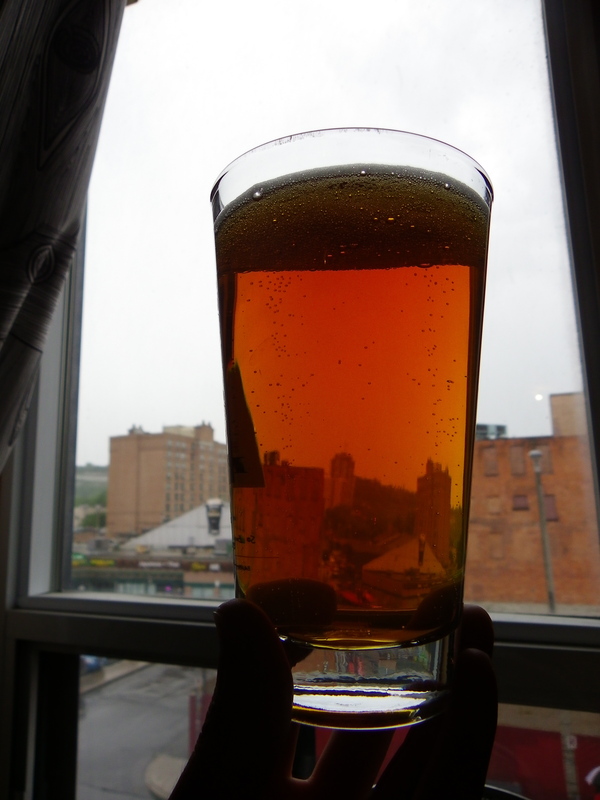 The Garrison brewery is found in Halifax Nova Scotia, and is the only beer that I have ever tried from this province. I am sure that there are other artisan breweries that are amazing, but clearly this facility made a name for itself with this particular beer. 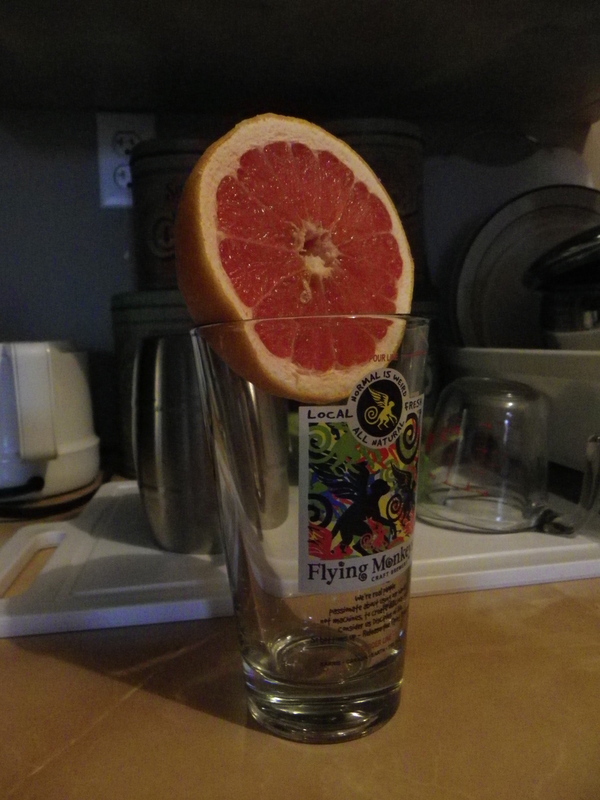 It is unfiltered and very cloudy, with a wide red-orange color and long-lasting foamy head. The bitterness of the hops that is used is quite evident in pretty much any beer, but this one takes the cake. The initial hop flavor is sharp and extremely bitter, but fades quickly to a numbing citrus like aftertaste. It is at the level where any more hop flavor would be overwhelming and completely dilute the flavor of the sweet caramel malt. The alcohol percentage is 7%, so you certainly get quite a bang from this 500ml bad-boy. Good work Nova Scotia, keep up the excellent work. I don’t really have anything bad to say about this beer, except that even after a few sips it makes you violently hungry*. 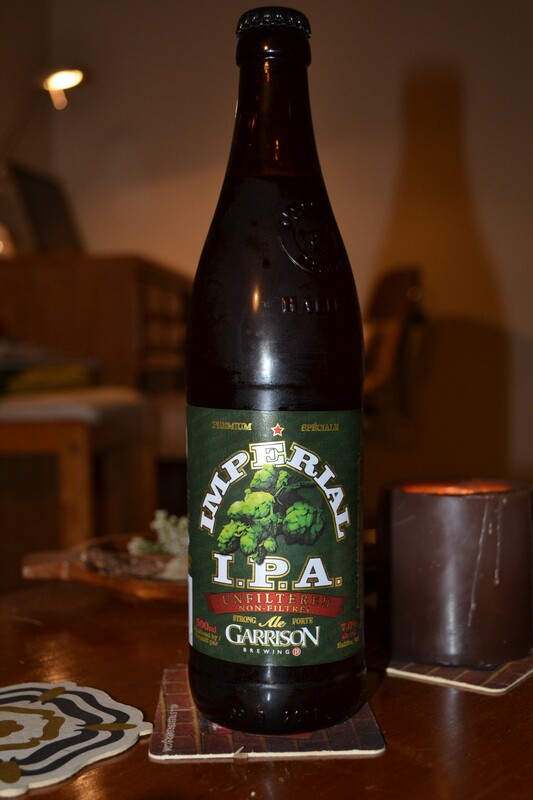 Garrison’s Imperial India Pale Ale is solid, and certainly worth a try. I would get this again, no questions asked. Every once and a while I feel like being overwhelmed with robust flavor. The last sip is also a gritty one… full of all that delicious sediment that is left in there on purpose (I think) after the bottling process for the beer to continue to absorb flavor and gain character over time. * The bitterness found in Hops, like most bitter plant compounds, stimulates the production of saliva and stomach acid. Thus, it prepares your body for a hearty meal. Drinking or eating something bitter without following with some sort of substantial food leaves your digestive tract at risk of harming itself from it’s own beneficial secretions. So, if you are drinking and feel hungry, eat something! I made home-made sweet potato fries to go along with this beer, and this was a flavor marriage made in heaven. Hop Head is an incredibly crisp and bitter brew that for me is the hallmark of British Columbian craft brewing. 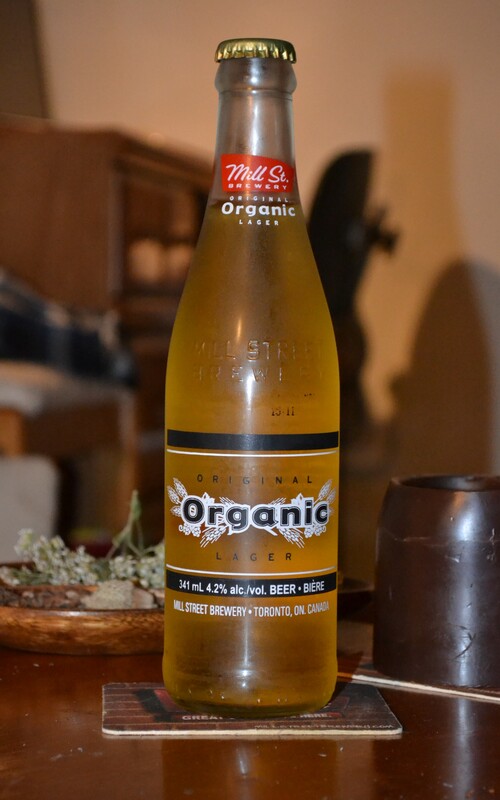 The beer, as you could tell from the name, is loaded with hops, and this gives the beer a real punch and astringency that makes it really refreshing and a pleasure to drink. A quality bottle drinker if there ever was one. 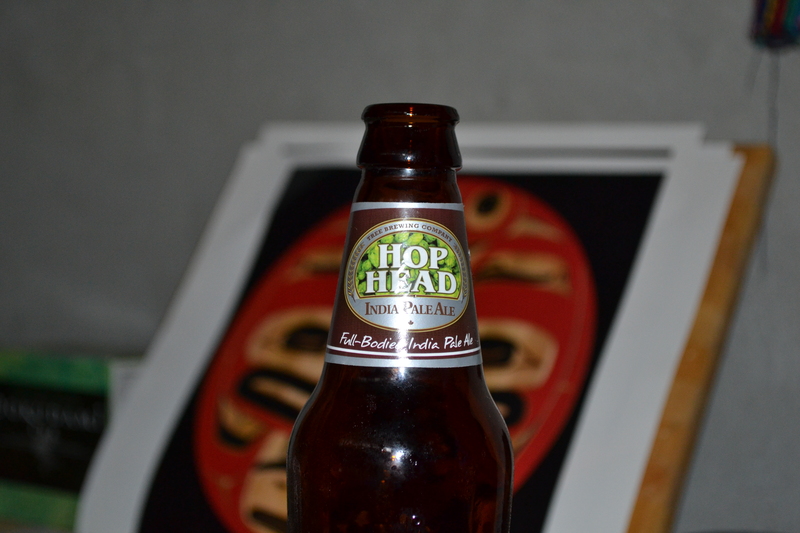 Hop Head is produced by the Tree Brewing company in Kelowna, B.C. This facility also produces several other beers to which I have sampled (Cutthroat, a pale ale, and Thirsty Beaver, their most popular beer, an amber ale) Out of these three beers, Hop Head is far superior in my opinion. It is also 5.6%, while the others are only 5.0% and the beers all cost the same price. 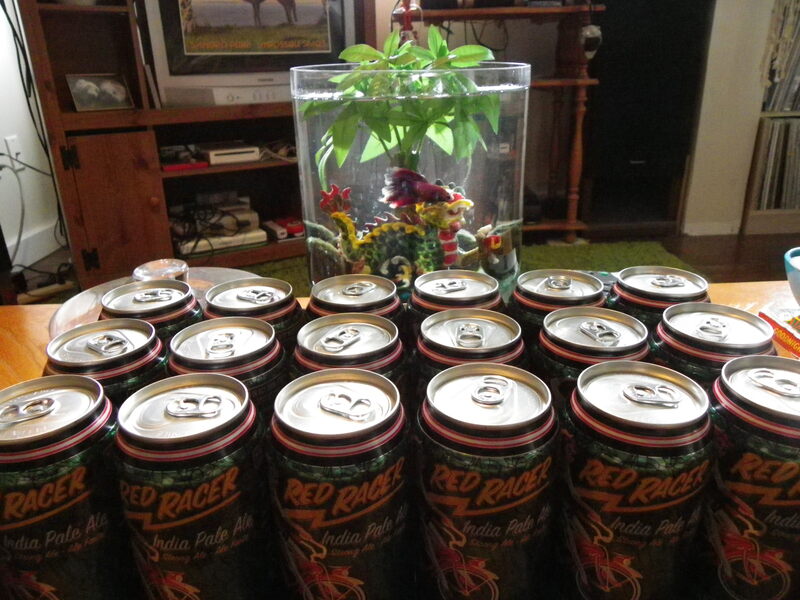 Who wouldn’t want a beer that is stronger and has more flavour, aroma and spiciness? These beers really remind me of the Mill Street Brewing Company back home in Toronto. One major difference is that most of the Mill Street beers are delicious and instant classics. The Tree Brewing Company, like I mentioned, only produces one beer that I would actually buy (and do buy) on a regular basis, and this would put it on a lower ranking than Mill Street. However, I gotta say that I love Hop Head just as much as I do Tankhouse, which is a spectacular Mill Street Creation. In conclusion, this is a great, local, artisan beer. Bravo, Kelowna.